Sarah started her career in financial services in 1988 with Sinclair Henderson Limited, part of a young group of companies which later became Exeter Investment Group (EIG) offering third party administration services and investment management for investment trusts, as well as managing its own range of unit trusts. She initially worked with the Company Secretary providing company secretarial services to third party clients and then moved to a central role within EIG which incorporated Group company secretarial duties, compliance, HR and office services. She assisted EIG’s Board with the Group’s Stock Exchange listing, acquisitions and disposals and complying with Stock Exchange and Companies Act requirements. As EIG’s third party administration business expanded, Exeter Fund Administration was launched in 1998, providing administration services to unit trusts and OEICs. Sarah particularly worked with new fund launches. In 2004 EIG merged with iimia to become iimia Investment Group and soon after the administration arm of the Group was sold. Sarah then moved to iimia and took up the role of Assistant Company Secretary for the AIM-listed Group. 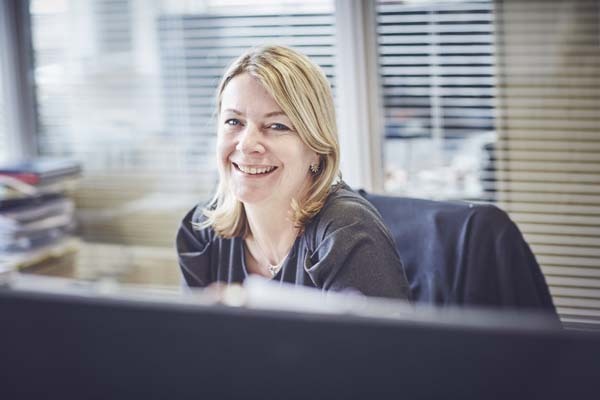 Sarah joined Hawksmoor at its launch in November 2007, assisting John Crowley in establishing the new business, its office and implementing procedures. She now focuses on her company secretarial role and assisting the CEO and Board with Company matters. Sarah’s interests include cooking, paddle boarding and going to the theatre.